Who gets the blame when a security breach occurs that exposes your company’s trade secrets or your customers’ secure personal data? A Houston managed IT services company will tell you that usually the answer depends on where the data was stored, how it was placed there and who had the rights to access it. Your commercial website is only as secure as your server is. Many businesses assume that their server is secure. However, security patches and updates that software manufacturers frequently distribute contain clues for hackers that they can use to compromise your Houston network security. Sometimes, a patch has its own vulnerabilities that are not discovered until a hacker has already commenced an automated assault on servers based on the weakness mentioned in the update’s script. That leads to the question of whether you should install patches as quickly as possible or if it is better for you to wait. If the software’s vulnerability is exposed before the manufacturer is able to fix the problem with an update, a hacker can launch an attack within a few hours. In that situation, you probably want to install the update when it becomes available. However, it is a good idea to turn automatic updates off because an installation could occur during your business hours, which might require your server to shut down and restart. You could lose valuable data when the system reboots, which will require immediate attention from a Houston backup and disaster recovery service. Your system might also completely crash during an automatic patch installation, which could prompt the dreaded blue screen of death for Windows users. It is better to have the program manager download the update and notify you that it is ready for installation. Then, you can install it at the close of business, over the weekend or whenever it will interfere least with your flow of commerce. The time that your server spends being unprotected is called a zero day. That is when security is at its weakest. Lately, many IT departments are wary of performing immediate updates even if they know it will not affect the normal course of business. They are unsure that a newly released, untested patch will not cause more problems than it solves. This cautious attitude was adapted in light of several patch fiascos initiated by major companies. Servers are not the only component being attacked. Mobile devices have suffered through such nuisances as Wi-Fi signal dropout, rapid battery drain, unexpected rebooting and poor or no audio. Microsoft’s very own update documentation says that you should only update your system if the risk of updating is less than the risk of not updating. Large companies with dedicated IT teams can set up a test area on their server to try out a new patch. Once they are convinced that it is safe, they can install it on the main server. Smaller companies that do not have the resources to test updates can wait a week or two before installing the update. This approach has two advantages. The company can monitor the tech press and social media to verify that the update does not have its own set of problems. If the original update has a bug and a patch is released to fix it before the company updates their server, the initial patch will not have to be uninstalled to install the latest update. Your servers and website are the heart of your business. Do not assume that they are secure. In the past, companies allocated a large portion of their annual budget to travel expenses for their executives and sales personnel. Nowadays, business meetings are more likely to be conducted through some type of video conferencing. A Houston managed IT services company can empower your business to save money with this new technology. They can also help you increase your earnings by inexpensively accessing a remote customer base that was previously unavailable to you. Video conferencing is no longer just a standalone, room-centered technology. Now, it is an integral part of personal communications software on desktop and mobile devices. While these technological conveniences have made keeping in touch with friends and family members easier, the opportunities for businesses are in their infancy but growing rapidly. Advances in cross-platform integration and next-generation multimedia conferencing will soon establish video conferencing as the preferred form of business communication. Additionally, cloud-based connectivity will facilitate Houston backup and disaster recovery, which will make Houston network security even more robust than it already is. Here are some new trends that will open up the video conferencing arena even further. 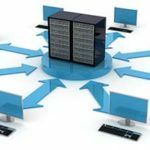 Cloud-based servers are critical for running efficient, universally accessible collaboration software and video conferencing solutions. These integrations connect a company’s video conferencing solution to the numerous devices that employees use to interact with clients and staff members. Off-site team members employ smartphones and tablets more frequently than desktop or laptop PCs. Cloud-based collaboration will continue to erode device, location and platform-based barriers in enterprise and small-to-medium business communication. In-person staff meetings, brainstorming sessions and small-team check-ins are no longer required. Room-based video conferencing is now the go-to method for routine business functions and for solving problems that would have required considerable expense in the past. As technology moves forward, video conferencing will become smoother, smarter, faster and more affordable. Although the technology may appear to be as simple as a flat-screen television, advanced software and high-resolution cameras will enable current capabilities with multi-way video conferencing at 720p or 1080p video resolution. Video conferencing technology has advanced quite a bit from its early days, but the future will bring even more seamless interoperability. Businesses will also be able to tie together all their ongoing third-party services, including help desk software, customer relationship management (CRM) and the tools it uses to manage and gain analytics from its social media platforms. Businesses will optimize their productivity by using business intelligence (BI) services to reach their target markets by making smarter, more informed decisions. Collaboration and video conferencing tools will incorporate more integration and sharing capabilities, such as calendar applications, enterprise device management solutions, online accounting and voice over IP (VoIP) services. If these integrations do not already exist, the collaboration software will include an application programming interface (API) for developers and IT personnel to create and install their own. While email is the business world’s default method of communication, modern collaboration software will soon end email’s reign by offering better live-chat options for direct group and team messaging. This centralized system of social feed and direct mention-based collaboration will gain more traction and eliminate long email chain messages filled with forwards and replies, which will enable increased employee productivity. The next phase in the Internet communication revolution is coming in the form of voice and video calling that will be directly embedded in browsers. Web Real-Time Communication (WebRTC) is an open-source technology and API standard that will allow direct voice calls, video chat and data sharing without any add-ons, browser plug-ins or other applications. Why AES 256 Bit Encryption Is The Industry Standard For Data Protection? There is a simple reason why Advanced Encryption System 256 (AES256) is the most popular encryption system in use today by Houston managed IT services. If you utilize virtual private networks (VPNs), Active Directory authenticated networks or if you merely encrypt your data on box.com, it is likely that you are using AES256 whether you know it or not. That is because AES256 has never been cracked, despite constant attempts to break it. Why would hackers continue to try to open up the system to their attacks? That is because the advanced encryption system AES256 is the guardian of a million secrets. It is used to protect classified governmental secrets, banking data and personal health records across the world. What Makes AES256 So Safe? Every Houston network security company knows why AES256 is safe and the algorithm has been accepted by the United States and Canada as the standard for encrypting transited data and data at rest. This is due to the 256-bit key and the inclusion of 14 hashes. Hackers are at a severe disadvantage when trying to crack it, and they will not be able to do so for many hundreds of lifetimes to come. Another advantage is that it is easy for developers to incorporate into their programs because there is already a series of existing extensive code libraries that have been created specifically for future use for Houston backup and disaster recovery applications. The 256-bit encryption key is the gatekeeper of the system in both directions. It is the same if you are writing to or reading from the system. There are other version, such as AES128 and AES192, but they are not as popular because the 256-bit key is harder to crack. However, you must not lose the keys because you will lose both the data at rest and the entire conversation completely. In the past, hashing data occupied your computer’s CPU, but now that systems are more powerful, everything, including desktops, notebooks, tablets and even smart phones, can handle hashing transparently with no loss of performance. However, servers that are tasked to run several versions of the AES256 algorithm might lose some of their speed while encrypting. They say that AES256 can never be cracked without the services of a powerful psychic using binoculars with measured keystroke bounces. There have been countless attempts to crack it, but they have all failed. The National Security Administration is the only agency that knows if the system can be cracked, but even if that were possible, it would take extraordinary processing speed and numerous computers dedicated to that single task. Your precious data resides in either plaintext or ciphertext. Plaintext is simple unencrypted text, and ciphertext is text that has been encrypted by an algorithm. You create plaintext and when it is loaded onto a platform to rest or be recalled later, it is encrypted and can only be recalled if you have the correct key for the symmetrical algorithm. If your data is a stationary target, there is always a chance that it could be vulnerable, however, AES256 ciphertext has never been successfully attacked when it has been implemented properly. NSC Information Technology Group understands how to use AES256 to its fullest extent. We can combine it with hardware aids that will share the processing burden that the algorithm exerts on your system. AES256 is able to resist all manner of hacking as it is. Further algorithms and ciphers can be added, but that usually defeats the simplicity of the encryption. There is really no need to embellish AES256. It is robust enough to withstand the most virulent attacks and remain uncompromised. Contact NSC Information Technology Group to see how AES256 can protect you from hackers who are looking to raid your data. Should I Consider Outsourcing IT? Outsourcing your company’s IT department can save you money in many areas. By allowing a group of highly-qualified experts at a professional technology firm manage your IT needs – servers, emails, security, firewalls, etc – you, the business owner/manager can do what you do best, while allowing the experts to handle the technology side of things – exactly what they do best. IT firms employ experts to handle things as they happen in real time, and will strive to set your company up to stay ahead of potential known issues. In-house teams are usually small teams (if comprised of more than 1 person) with long lists of to-dos. Professional IT outsourcing companies have teams allotted for certain task such as real-time emergencies and ongoing maintenance. In addition to managed IT and IT consulting, the offering of constant network security and support services can ensure that there are no vulnerabilities within your network. Not only can you rest easier knowing your important documents and data are safe, but you can offer your clients the news: their information is protected as well. IT Consulting firms offer many services including cloud integration services, structured cabling, and backup and disaster recovery planning. Many of these services are so important in today’s age of “hacking” and protects your business against natural disasters. In the event of a malicious attack, repetitive data backups will allow you to restore business functions immediately protecting your business and all of your data. Smaller Houston companies may be at risk of hacking attacks despite their relatively low profile in the business world. Computer viruses, ransomware and other malware can pose a real threat to sensitive company data and can bring regular operations to a standstill. In some cases, smaller companies may make even more attractive targets for criminals thanks to lower levels of security and reduced risk of detection during the digital infiltration process. Working with a company that offers Houston managed IT services can provide solid protection for small businesses against unauthorized access to information, allowing these companies to stop digital criminals in their tracks. Ransomware programs gain access to company files and encrypt them to prevent access by the rightful owners, who must then pay a sizable sum to regain control of these software packages and data files. Password crackers use advanced algorithms to guess user passwords and to gain access to restricted financial, proprietary or confidential information. Distributed denial of service attacks result when hundreds or thousands of computers are infected with a virus that causes them to request information from corporate servers in a concerted effort to render websites unreachable by patrons, clients and customers. Phishing, also known as social engineering, involves direct attempts to elicit confidential information from staff members through phone calls, emails and other points of contact. Data interception is sometimes called packet sniffing and takes place when a hacker gains access to information on its way into or out of your corporate network. Malware programs can log all keystrokes on a particular computer to gain access to personal employee information or to obtain passwords for servers, software packages and other sensitive company data. Each of these techniques can offer hackers an easy point of entry to your small business network. Taking steps to secure your computing resources is critical to your ongoing success in the modern business environment. Failure to protect sensitive information can cause lasting damage to your company’s reputation and brand. You may lose current and potential customers due to ongoing negative publicity regarding the data breach. Repairing and remediating damage to computing resources can sometimes be prohibitively expensive. Unplanned downtime can result in lost sales and lost revenues for your company. Outsourcing your corporate IT functions to an experienced Houston network security firm can help you to prevent data breaches and to protect your confidential information against unauthorized access. Investing in managed IT services is a cost-effective move for small businesses. These computing professionals can assess your company’s current level of security and can identify areas in need of further attention. Houston backup and disaster recovery firms can allow your company to maintain regular operations in emergency conditions and can promote a more positive image of your brand by ensuring that you stay online even in difficult situations. By outsourcing your company’s IT needs to a professional firm, you can significantly reduce the risk of unauthorized data access by cybercriminals and casual hackers alike. Attorney-CPA Thomas W. McCulloch presents, “Estate Planning Advocating for Aging Americans Ethical and Practical Considerations”© at the 2016 Southwest Regional Education Conference of the American Academy of Attorney-Certified Public Accountants in San Antonio, Texas on Saturday, Jan. 23, 2016. The presentation is an in-depth legal technical analysis of estate planning changes evolving in order to meet the ever-changing needs of aging Americans. Today’s world demands a focus on topics such as planning for 30 years of retirement, financial exploitation/abuse, capacity and guardianships and helping Americans address the opportunities and challenges of aging. As estate planning, tax and elder lawyers who serve Houston’s aging population, it is vital that we maintain rigid accountability on meeting client expectations, as well as uphold the highest levels of integrity and accountability in serving our aging demographic. For more information on various estate planning topics in Houston, please visit www.houstonelderlawyer.comto read past blogs or to enroll in Tom’s e-newsletter. You may reach Tom via email at tom@houstonelderlawyer.com or phoning 713-624-4294. Are you an advocate? I sure hope so! I am counting on the fact that as an engaged professional or business owner that you are constantly advocating for the best value, the best possible service or the best experience for your clients or prospective clients. As most of you know, estate planning for seniors or their families, elder law and elder care is more than a profession for me. Helping families get it right multi-generationally, secure quality care and define their long term care goals is a passion for my entire team. In fact, my wife, Janet Jackson-McCulloch, and I have dedicated a better part of the last three decades to providing a continuum of care that I don’t believe any other estate planning or elder law firm in Houston provides. Our unique approach to partnering our two companies, Weiner & McCulloch, PLLC and Elder Advisory Group, allows us to provide our clients some of the most comprehensive aging life care options available to aging Americans and their families. I hope you join me during my Member Spotlight presentation on Thursday, July 30 where we’ll discuss ways that you can help your clients, families, friends and associates learn more about life care planning --- it’s about more than drafting a will and naming beneficiaries. You are an advocate and you are in a great place to help share valuable information within your circle of influence. Hope to see you Thursday! For small business owners, avoid being caught by surprise. You can file by paper or online. Your CPA is probably the best adviser on what information and amounts to provide on these reports. Sometimes you will want the information to tie to an asset schedule that your CPA maintains for your Federal taxes. This can be very helpful for business automobiles. Other times, it may be possible to elect the "under $20,000" option and from year to year to select the "no changes" option. Simple is great if that will work for your quantity and value of business assets. It's possible to fly under the radar on this tax if you are self-employed and work from a home office. With a computer and desk being about all that my business "owned," it was tempting to avoid filing because of the paperwork, not the cost. Ultimately I chose to let myself be known to the appraisal district and pay what has been a very small tax, $53, which does pay for services I use or others in my community need and can't afford, such as medical care and, especially, child education. Renditions (the report of your values) are due 4/15. You may extend to 5/15 with the proper form. You may also sign up for online reporting. www.HCAD.org is the website. You get annual medical checkup, and a review of your will is recommended. Please take time to audit your life, disability, long term care benefits as well as any company benefits. There are benefits, problems and issues you need to know or remember. All that will be there when you need it may be there! This applies to you, family members, clients and friends. Remember LOVER's care! So many prospective clients that we meet come to our office because they or a loved one has exhibited signs or been diagnosed with Alzheimer’s Disease. We hear a great deal about what our client families think to be true about coping with Alzheimer’s Disease in relation to legal planning and medical decisions. Myth #1: You can’t sign a will if you’ve been diagnosed with Alzheimer’s Disease or other dementia. Not true. In the State of Texas and many other states, a competent adult can make legal and financial decisions if they have brief or extended periods of lucidity. Myth #2: You can’t make legal or financial decisions about your family business if you’ve been diagnosed with Alzheimer’s Disease or other dementia. Not true. You must be declared incompetent before your decision-making power can be removed from you. The threat of Alzheimer’s Disease, dementia or other disabling disease or sudden disability is an excellent reason to meet with an estate planning and elder law attorney to clearly outline your wishes and desires should you become disabled. You’ll want a clearly-defined succession plan and you’ll want to communicate your plans so that your family and business partners are clear about your wishes. Myth #3: Your long-term care is paid for by Medicare if you have Alzheimer’s Disease or other dementia. Not always true. Medicare is designed for acute care needs and skilled nursing care needs. Often, an Alzheimer’s patient requires costly long-term care that may not be covered by Medicare. Unfortunately, many families may find their financial nest egg threatened by the ongoing costs of at-home care and other expenses during the course of this devastating disease. Myth #4: Alzheimer’s Disease affects the elderly and I’m not old enough. Not true. According to the Alzheimer’s Association, younger-onset or early-onset Alzheimer’s affects up to 5 percent of the more than 5 million Americans living with Alzheimer’s – more than 200,000 people. Many patients facing early onset Alzheimer’s are diagnosed in their 40s and 50s --- the decades when many families accumulate or earn the most of their retirement income! Compounded with loss of potential earnings and the costs of day-to-day care, early-onset Alzheimer’s can be financially and emotionally devastating for a family. Securing an estate planning strategy that couples with a comprehensive life-care plan may help families maintain their long-term security. Myth #5: My spouse and my adult children know my wishes and they will take care of me. We agree on everything all of the time. Yes. We all have loving families and all of our children want what is best for us. However, circumstances that may be out of our family’s control may cause children or spouses to act in a way that is abnormal. Perhaps a divorce, failing business, or other legal or tax complications may make our families make decisions that are not in our best interest. Or, it may be difficult for our children to accept that we are not acting as decisive parents. The realization that there is a need to step up and make decisions on our behalf may come to late to our children. So many of life’s fates can be out of our control….seek control now so that your plans and wishes are cemented in a solid estate plan that maps out your estate planning and care wishes. If you wish to begin the process by attending a complimentary elder law workshop, visit my website to reserve your space.